Graham Festenstein is the founder and director of Graham Festenstein Lighting Design, a firm specialising in museum and heritage lighting and with a significant portfolio ranging from residential schemes to large scale new delelopments and public regneration. Graham was appointed Vice President of the Institute of Lighting Professionals (ILP) in 2016, and also lectures for the Insititution of Lighting Professionals Exterior Lighting Diploma. In 2015, he established LewesLight, an innovative annual lighting festival that has established itself as an important part of the Lewes calendar, attracting thousands of visitors to the town each Autumn. With Commercial Lighting’s ongoing support of the festvial, we caught up with Graham following the successful LewesLight2017 last October. Firstly, congratulations on another successful Lewes Light Festival in October. Can you tell us what inspired you to launch the festival back in 2015, and why the town of Lewes? GF: The catalyst that sparked the first LewesLight was the UNESCO International Year of Light in 2015, which provided an opportunity for publicity and collaborations with other organisations. I had the original idea back in 2013 when I had taken part in Lights in Alingsas as a workshop head. I noticed at the time the parallels between Lewes and Alingsas – a similar sized town, an interesting history and some beautiful buildings and spaces. I was also impressed by the benefit that the workshops brought to the city of Alingsas – attracting 80,000 visitors to the city throughout the month of the installations with the social and economic benefits that brings. When I brought back images of the workshops, various people in Lewes suggested it would be great to do something similar here. This planted the seed which grew to fruition a few years later. Each year we’ve seen different parts of the town illuminated in collaboration with different lighting designers, which has allowed each festival to be unique and surprising. Will this idea continue for the following years? One thing that struck us this year was how inquisitive Lewes locals were, even as we prepared for the festival launch. How do you balance engaging ordinary members of the public as well as lighting specialists and professionals? GF: Lewes has a strong community of artists, designers and crafts people as well as other creative professions such as film makers, performers and authors. This in part means there is a lot of interest for this type of event in the town already. Lewes also has an anarchistic tendency – once the home of Thomas Paine there is a strong tradition of dissent, individuality and protest. This is embodied by the Lewes Bonfire and the Bonfire Societies, which are a large part of Lewes life all year around. The town is consequently very community-spirited and embraces this type of event wholeheartedly. In this way, Lewes is not that much different from many in the lighting industry, who are often passionate about what they do and don’t shy away from expressing their opinions. Many of the designers we work with, and some of the manufacturers too, also have a Lewes connection of some kind – brought up here, live nearby, attended college or have family living locally. This means they too feel a connection with the community here. Our educational component is also very popular both with the community and with the lighting industry, who across the board from designers to manufacturers are keen to encourage young people to join the design or allied professions. Aside from Lewes Light, your primary focus has been running a very successful lighting design consultancy since 2001. What have been your highlights as a lighting designer over those years? GF: Seeing 10,000 plus people out on the streets enjoying a project I initiated was a real high point for me. Also, working with 150 committed students, designers and professionals does generate a buzz. However outside of this, as you say, my practise has been running quite a few years now, and over that time I have worked on some interesting and rewarding projects. One thing that always keeps me excited about this job is getting to visit unusual places and meeting people passionate and very knowledgable about their work. I have done quite a lot of work with heritage buildings and museums in my time, and getting to experience these places in ways that as a member of the public you never normally would has always been exciting for me. I have also been very interested in working on lighting strategies and the public realm. Projects that really benefit ordinary people and communities I find very rewarding, especially as much of the work of lighting designers predominantly benefits the more wealthy people amongst us. Whilst Graham Festenstein Lighting Design is an independent firm, we are proud to have developed a strong long-term relationship over the years. What makes you keep returning to Commercial Lighting for new lighting schemes? 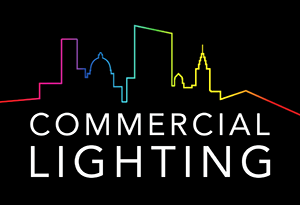 GF: I have worked with Commercial Lighting for 20 years and during that time they have remained consistently reliable and a pleasure to work with. They are very collaborative and can contribute a great deal of expertise and experience to a project. My clients and other team members are happy with their work and the service they provide in support of not just myself, but my clients and their contractors means that projects are more often than not completed very smoothly whenever CLS are involved. Not only are they good to work with but they provide good quality products and value for money which by the nature of much of my work is of course a prime consideration. It is also worth mentioning that CLS are one of the founding supporters of LewesLight and their help was invaluable getting the whole event off the ground in the first place for which we are all extremely grateful.